Thomas (T.A.) Chase passed away Oct. 12, 2011 at University Hospital in St. Louise, Mio. after a short illness. He was 62. He was born on March 11, 1949 in Wyandotte, Okla. to Antonie and Alice (Young) Chase. He graduated from Wyandotte High School. He worked in maintenance for the Wyandotte Nation Turtle Stop. He loved to go fishing with his brothers and loved his kids and grandkids dearly. He was a member of the Seneca-Cayuga Tribe of Oklahoma. He married Alicia (Olsen) on February 24, 1995 in Miami, Oklahoma she survives of the home. He is preceded in death by: his parents; one son; one daughter; one brother and one granddaughter. 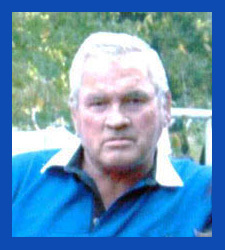 Services will be held at 10 a.m. Saturday Oct. 15, 2011 at the home at 14494 S. 625 RD. Miami. Charley Diebold will conduct Native American Rites. Pallbearers will be Log, Buck, Bri, Caden, Damian, Josh (Bub), Gump and Brandon. Honorary pallbearers will be Uncle Louie White, Nick Ikenberry, Reilly McLaughlin, Pepper, Dobey and Ethan. Mr. Chase will lay enstate at the home until time of service. Services are under the direction of Paul Thomas Funeral Home in Miami, Okla. Online condolences can be made at www.paulthomasfuneralhomes.com.